No matter how hard we try, life doesn’t always go as planned. That was the reality for Robert and his faithful rescue dog Meaty when they suddenly found themselves homeless. 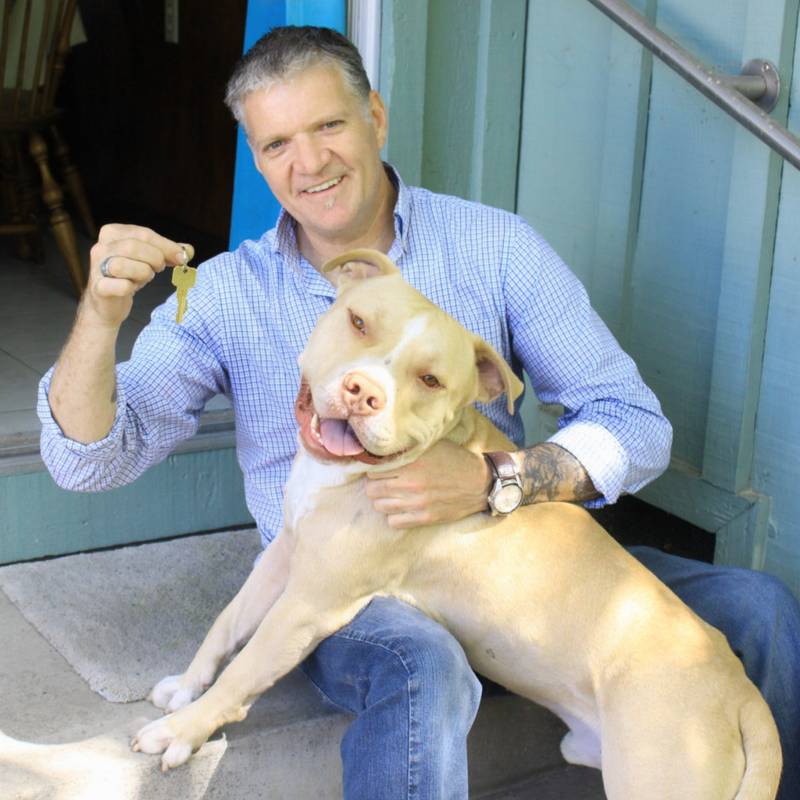 When Robert and his partner first adopted Meaty from Front Street Animal Shelter in Oakland, CA, they were happy with a roof over their heads and great plans for their future. They fell in love with Meaty at first sight, and Robert knew he’d do everything possible to make his rescue dog’s life a good one. The responsibility that Robert took on so willingly, however, got a lot harder when an unexpected eviction changed his life. 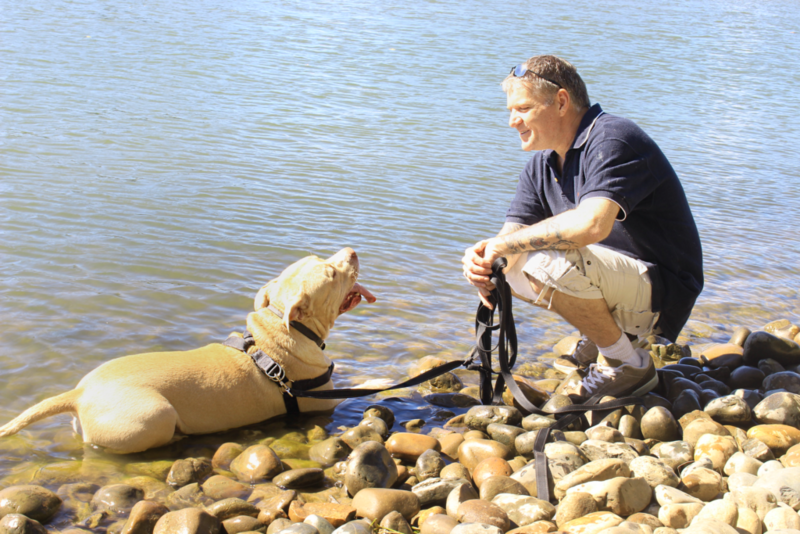 Only two months after adopting Meaty, Robert and his partner were forced out of their home. Robert had a master’s degree and was actively seeking employment. His partner had a steady job with the county, but a prior eviction made finding a new rental that would accept Meaty impossible. Everywhere they went, they were denied. As money ran out, finding food and places to sleep became increasingly difficult. They sold their possessions and packed the rest of their lives into their car. With freezing temperatures at night, unrelenting insects during the day, and no leads on finding a new home, their situation soon became serious. Despite every rejection and every obstacle, there was one constant that Robert could always depend on. Meaty was his best friend and reason for not giving up. Robert knew he could have found a bed at a homeless shelter or possibly a low-cost hotel, but those places didn’t accept pets. He would have to leave Meaty in the car by himself overnight, and for Robert, that wasn’t an option. He refused to abandon his dog. The cold nights continued, and Robert and Meaty’s situation didn’t improve. Robert knew Meaty deserved better, but the thought of giving him up was unbearable. Then one day, Robert was forced to give Meaty a loaf of bread for dinner. That was the moment the reality of their horrible situation sank in. Robert knew Meaty was suffering just like he was, and it was time to do what he always promised. He had to do what was best for his dog. The next day, Robert brought Meaty back to Front Street Animal Shelter. He didn’t want to give the dog up, so he asked if they could help board his dog or provide a foster family until he could establish a better living situation. With so many homeless dogs to care for, there wasn’t a lot the shelter could do. They did, however, offer to make a video about Robert and Meaty’s story to share on Facebook. That video ended up being the one thing that saved Robert and Meaty’s relationship. In the video, Robert spoke through tears about what Meaty meant to him. He explained their situation and told anyone who would listen that all he wanted was to provide a good life for his beloved rescue dog. When the shelter posted the video to their Facebook page, it was an instant hit. In a matter of days, it had half a million views. It had also raised $5,000 from people wanting to help keep Robert and Meaty together. Best of all, the video made its way to a generous woman who happened to have an empty house she wasn’t using. She offered Robert and Meaty temporary shelter to stay together. Finally, with a roof over their heads and room to breathe, Robert could take real strides in building a better life. Six months after that terrible eviction, Robert and Meaty are in a completely different place. They have their own beautiful home that includes a large backyard where Meaty loves to run and play. Both have a warm place to sleep, a roof over their heads, and healthy meals. Robert credits the change to his best friend, Meaty. Robert and Meaty stuck together when they needed each other most, and compassionate people aided their path to a better life. Their story has touched millions of hearts, and that’s why they’re recent recipients of Petco Foundation’s annual Holiday Wishes campaign. Every year, Petco Foundation finds stories of how rescue pets change people’s lives. The winning adopters are then awarded Petco shopping sprees and the organizations they adopted from receive significant grants to help them save more lives. Thanks to Meaty and Robert, Front Street Animal Shelter received $10,000. Since 2013, the Petco Foundation has awarded more than $3.4 million to animal welfare organizations across the nation during the annual Holiday Wishes campaign. To learn more about the Petco Foundation’s lifesaving mission, visit www.petcofoundation.org.